It’s a fact: kids love jokes! Why did the chicken cross the road? What do you call a blind dinosaur? Knock, knock… These are all lines that you’ve no doubt heard from your children at some point in time. Do yourself a favour and give your kids some new material with a book or two from our bestselling kid’s joke book range. For many years, Hinkler has been publishing a wide assortment of joke books for children that have had kids – and adults – in stitches! The good old family favourites are all there including 1001 Cool Jokes, Knock-knock Jokes, Gross Jokes, School Yard Jokes and more. 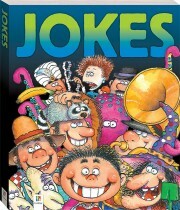 Or why not branch out a little and go for one of our joke books for kids featuring practical jokes, riddles or tongue twisters? 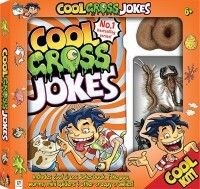 At Hinkler, we like to turn up the fun, so we’ve created children’s’ joke books in a wide range of formats, including sticker books, portable pocket-sized books, giant 192-page binders and kits containing everything your child could possibly need to induce their friends into belly-laughing, side-splitting hysterics.